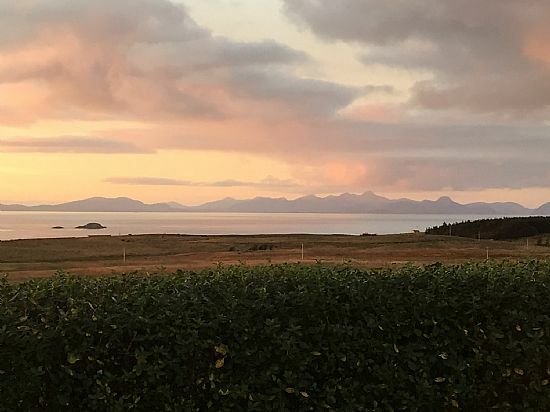 Herbusta Holiday Cottage is a well-equiped self-catering crofter’s cottage, located on a quiet road with spectacular views of the Outer Hebrides and sunsets over the Minch. 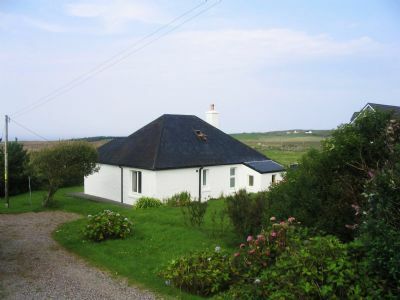 The cottage has wi-fi available and has a kitchen, lounge, dining room and four bedrooms comfortably sleeping 6 people. The property has both a bathroom and shower room. Ideal for families, it has a large tree-lined enclosed garden. There is plenty of parking, a patio and garden furniture. Holidays here offer the perfect chance to relax, discover the natural beauty and history of the island, as well as abundant opportunities for climbing, walking, cycling and fishing. Herbusta itself is situated within the township of Kilmuir, just off the main Uig-to-Staffin road. It is within easy walking distance of the Skye Museum of Island Life, the historic Kilmuir Cemetery and Flora MacDonald’s monument. A waymarker, directly outside the property, leads you to the Loch Sneosdal hillwalking circuit which takes in a hidden corrie loch, impressive cliffs and Beinn a’ Sgà, where Golden Eagles are often observed. The area is well noted for its bird life - Wheatears, Stonechats, and Reed Buntings can be seen on the quiet slopes of the hills around Herbusta. The Cuckoo is frequently observed within the garden between May and August. The cottage is within easy reach of the sea, where sheltered bays at Camas Mor and Duntulm provide excellent rock fishing. The nearby Whitewave outdoor centre in Kilmuir offers kayaking, canoeing, windsurfing, climbing and archery. 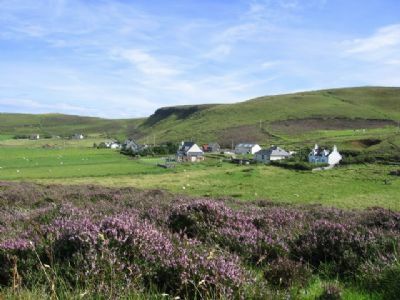 Herbusta is ideally situated at the north end of Trotternish, providing easy access to Uig, the Fairy Glen, the unrivalled scenery of the Quirang, Duntulm Castle, Flodigarry and the sandy beaches of Staffin bay. Throughout the area is a trail of fascinating Ecomuseum sites, including fossil beaches, dinosaur footprints, dramatic walks, hidden lochs and stunning scenery. The main island town, Portree, with restaurants, supermarkets, swimming pool, boat trips and a small theatre, is no more than half an hour’s drive away. A ferry to the Outer Hebrides can be found in Uig for those who want to explore further afield!